Why is balance so hard to achieve? 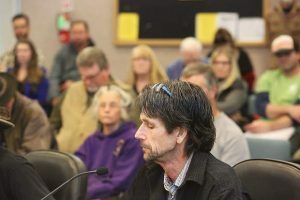 A little over a week has passed since the Board of Supervisors held a special meeting to discuss the draft ordinance defining the future of cannabis cultivation in the county, and there are already angry murmurs coming from the far ends of both camps. From a cannabis perspective, the new ordinance is a vast improvement from anything that we’ve seen. It begins to open the door for the regulated, responsible cannabis culture to emerge into respectable society, while putting in place measures that protect the environment and encourage safer neighborhoods. This is the carrot and the stick approach: provide a pathway for those demonstrating good behavior and respect for the law, and increase the consequences for those who don’t. The draft ordinance is a step in the right direction, but it only gets us halfway there. That’s the conundrum. For cannabis cultivators expecting to get 90 percent of their needs met, well, they’re going to be disappointed. For those who see no redeeming value of cannabis in our community any movement towards the middle is devastating. All that being said the reality is that this is only a first draft. The permanent ordinance will not be passed until the county finishes a necessary and extensive environmental impact report. 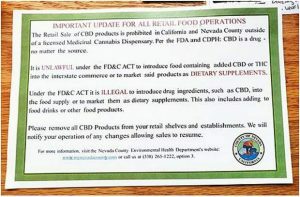 Meanwhile the current ordinance is still in effect and the majority of intrepid, professional operators will lament; while prohibitionists and those lingering in the grey market will make strange bedfellows and both breathe a sigh of relief as the status quo is maintained and it’s business as usual for another season. If, however, you lean towards the center and appreciate moderation, then last week’s board meeting was historic. It was a big win for the middle majority who desire a balanced and reasonable outcome. It was accomplished, not necessarily by our actions alone, but by working together in the spirit of community and cooperation. During the meeting, staff clearly outlined issues that required direction and the supervisors were focused and steadily moved through the agenda. There was a preliminary review, a preliminary discussion, and then public input. Public input is where heroes are made. It takes courage to step up to our peers and speak our truth. Fortunately, we have a lot of heroes emerging in our community. We’ve gone from a marginalized subculture of perceived “outlaws” to impassioned patients and craft cannabis farmers wanting to contribute our talent in this cresting wave of opportunity. Good people stood forth and were civil, they made reasonable arguments, fought for what they believe in, and offered valuable insight into challenging topics. The supervisors listened, they considered and deliberated. Positions were asserted, alternated, interchanged and conceded. Although the discussions often meandered, in the end, good decisions and considerable progress was made. And something happened that we haven’t seen before. The board made a major concession: They decided to move forward with a temporary license program. On a symbolic level this was momentous, because it paves the way for the future. However, from a practical level — since it’s based on the restrictive nature of the current ordinance — it will only be viable for a tiny fraction of growers this season. More important, it signifies the maturation of all of us. We’ve hit upon a level of trust as a community that hasn’t existed before. We’re not making change. Change is happening. We’re just working together to make the best of it. For those in the middle seeking balance we can arrive at a win-win situation where everyone is leaving better off than where we began. We are moving in the direction of participation, communication, understanding and collaboration. It is refreshing and inspiring. It encourages respect in our leadership and hope for our future. Together we are making a better place for us all to live. Jonathan Collier is a member of the Nevada County Cannabis Alliance executive board.